Since my hair is now long enough to bun without the use of a scrunchie, I have taken full advantage of it. Afterall its less tension in one spot. You can secured it anywhere on your head with the help of 1 bobbi pin or clip. 1. 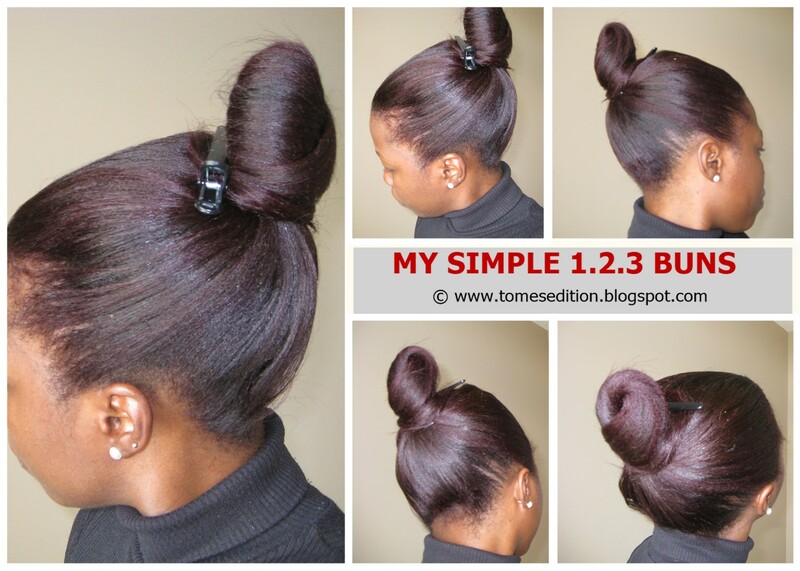 Pull all of your hair into the area you want in the bun in and secure with one hand. 2. 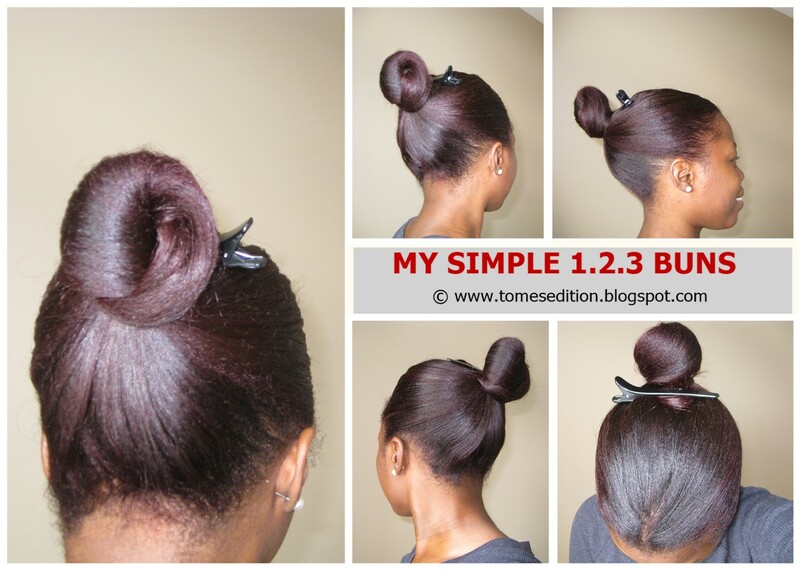 Wrap your hair in a circular motion around the hand securing your hair. 3. Secure your ends with a clip or bobbi pin. That’s it! My hair does not move nor my ends become unsecured. Its important to move around your buns regardless of if there is less tension. I tend to change the area of my buns every 2-3days. My favorite spot is a low bun. Somehow top knot buns looks awkward depending on if my face is fat or not due to mother nature. Where do you love wearing your buns the most? Love this simple to follow tutorial and I will definitely try it out. I'm glad your hair is long enough for this style. 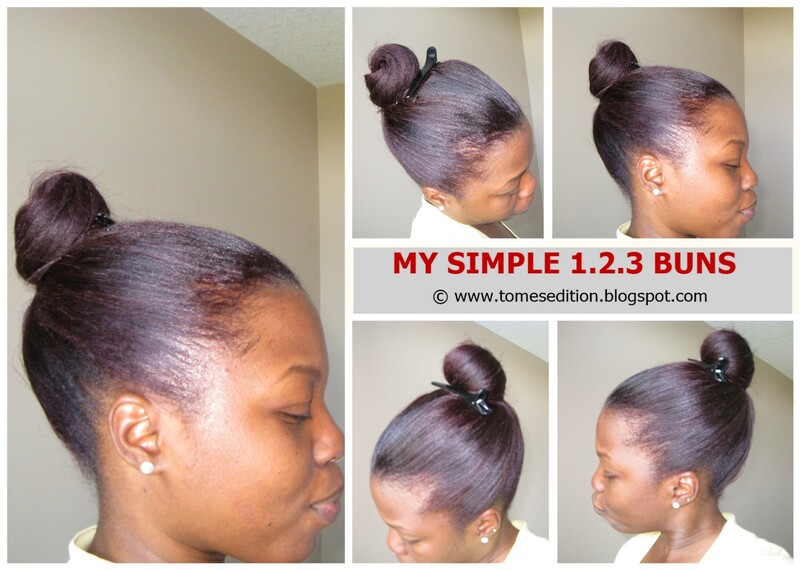 It is less stress on your scalp when you don't have to tie your bun so tight. Your hair color is beautiful.